Bus service will be increased to run every 15 minutes on Route 24 between 7 a.m. and 5:30 p.m. on weekdays. The additional buses will better serve the growing number of riders on 24th Street while improving reliability. Routes 35 and 36 will be restructured to provide a new north/south connection in the Midtown area along Park Avenue. This will reduce duplication of routes traveling downtown and provide more direct connections for riders with destinations outside of the downtown area. Both routes will continue to operate every 30 minutes on weekdays, with 60-minute service on evenings and weekends. 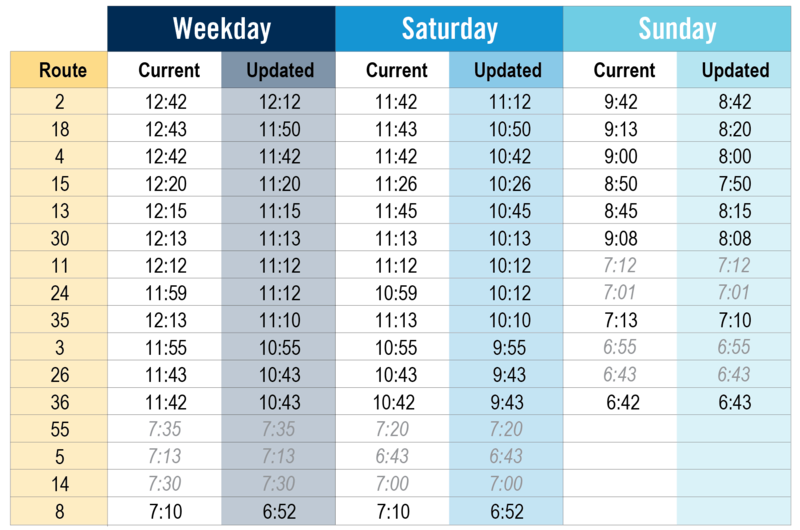 All routes with late-night service will be reduced by about one hour on weekdays, Saturdays, and Sundays. Ridership reports indicate buses serve fewer than three riders on average during the last hour of the night, and these resources can serve more people at other times of the day. 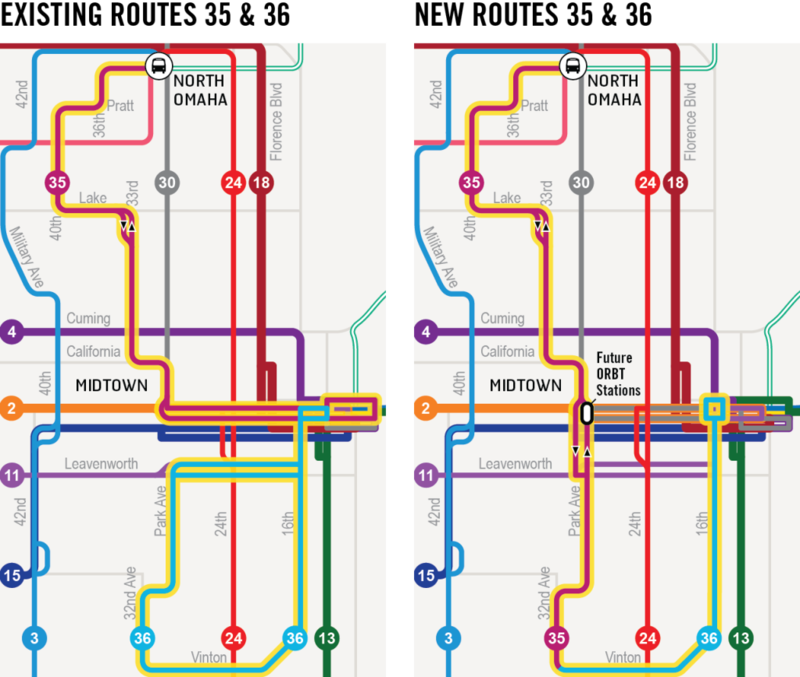 The chart below compares the latest stop on each route before and after the changes. Times shown in grey italics do not change. Departure times will be shifted for Routes 8 and 14 on weekdays and Saturdays, and Route 14 will no longer serve MCC Fort Campus. The frequency and span of service will not change for either route.